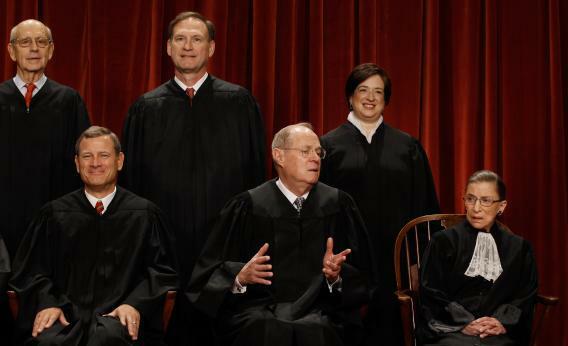 Elena Kagan: Supreme Court justices haven't "gotten to" email, use paper memos instead. For her part, the 53-year-old Kagan said she uses personal email, goes online, and reads blogs. But she suggested that isn’t true of all of her older colleagues. And newfangled services like Facebook and Twitter are “a challenge for us,” she added. Not that they aren’t trying. Kagan said that a case involving violent video games prompted some of her fellow justices to try their hands at a few of the titles in question. “It was kind of hilarious,” she recalled. It does sound quaint and endearing, until you remember that these are the people charged with interpreting the law of the land on issues like online privacy and digital surveillance. No wonder they decided earlier this year that the government spying on people’s emails without a warrant is no big deal. Bet they’d have some strong opinions if the NSA started eavesdropping on people’s chambers aides, though. *Correction, Aug. 20, 2013: This post originally stated that Kagan was speaking at Brown University in Providence, R.I. She was speaking with a Brown University historian and librarian at the Trinity Repertory Theatre.